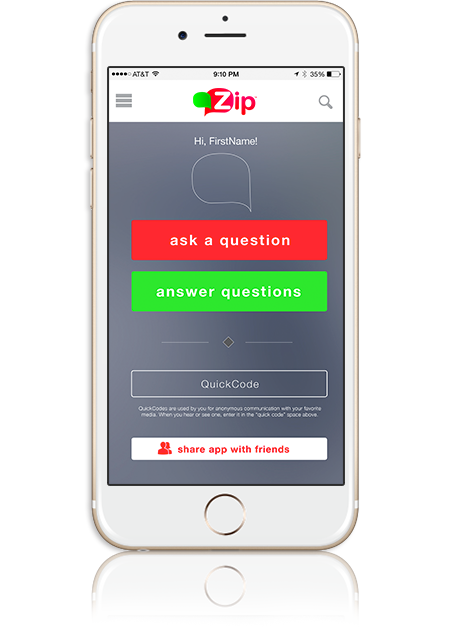 Like most successful apps, Zip – The Question Answer App was created out of passion. While working on a tech solution to a different problem, what began as a simple disagreement has turned into a social phenomenon. It all started at a lunch meeting with the Crazy Raccoons tech team when the Founder of Zip, Ric Militi, got into a friendly squabble with Alanna Markey, Co-Founder and Director of Brand Development. The two were in disagreement and both started to ask people from the company’s tech team and those around them for their opinion before they began to Google the question, searching for the most definitive answer. Next, they found polling apps, which were all very likeminded. They began to wonder how no app like this existed. What they were searching for was just a simple app. Something that would answer their not so simple question. With no luck and no answer, Ric as Founder came to a conclusion – to create an easy to use and fun app that would solve this problem. A few months later came Zip – The Question Answer App. Settling arguments with real results from real people, one question at a time. The best part? It’s completely anonymous, it’s simple, and it’s fun for all ages.